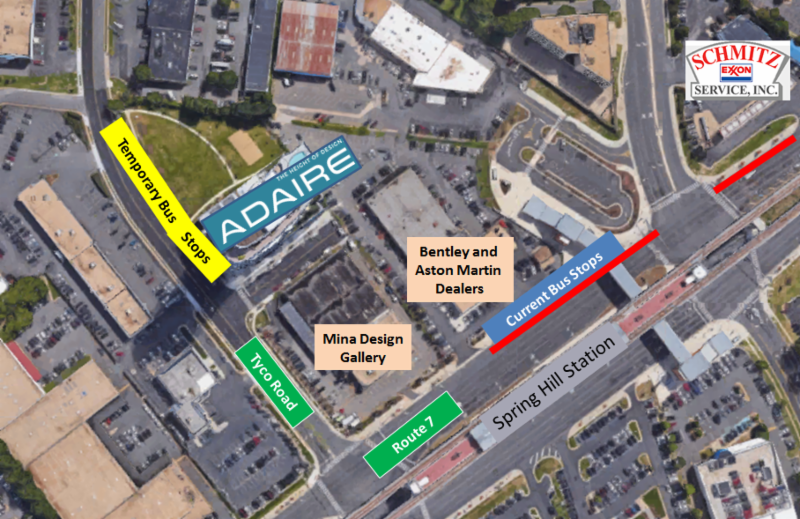 Fairfax Connector bus stops on westbound Route 7 between Spring Hill and Tyco roads in Tysons Corner will be relocated to a parking lane in front of The Adaire apartments and an adjacent public park on Tyco Road beginning on or about Wednesday, May 30, for about three weeks. A related lane closure along Route 7 westbound will also be required Monday through Friday; see details below. When: Wednesday, May 30, through Thursday, May 31, from 9 a.m. to 3 p.m.
Friday, June 1, 9 a.m. to 1 p.m.